Ex-Pat wrote: Very nice job on the 1F - and the photos take me back to childhood in Derby, so much so that I would put money on the loco to the right of 41710 being 45509. 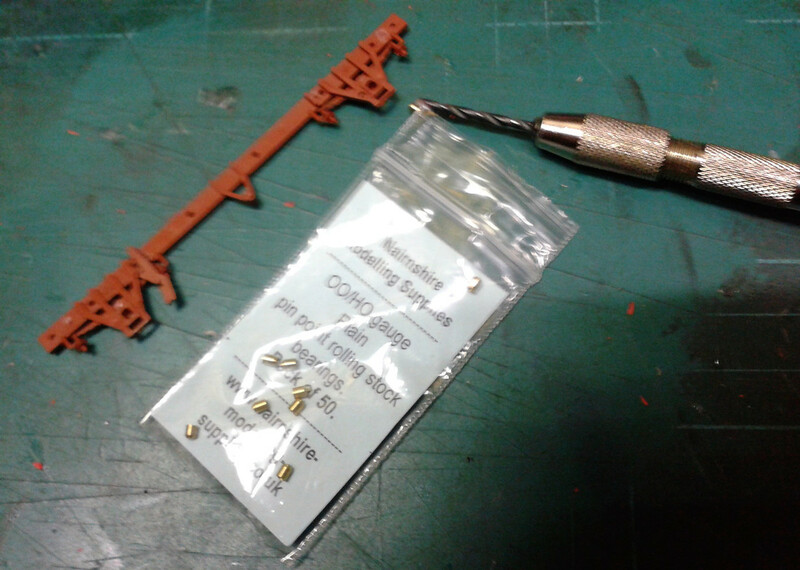 How did you find the Crownline kit instruction-wise and quality-wise? 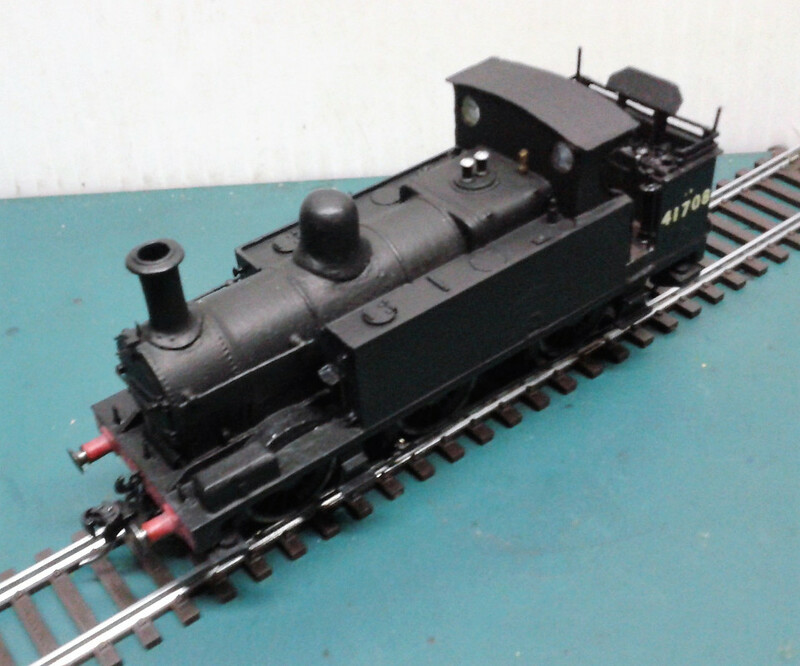 Dare I start my Crownline J36 kit, or just wait for Hornby's announcement? The drawing is a bit flaky, in that the photocopier must have been running low on toner? The roof has half-etched lines to form the side edges...the instructions here a a bit vague, or I was not thinking correcty, twice! Then I re-read the instructions, and folded them right over onto the roof....well almost horizontal I was thinking! 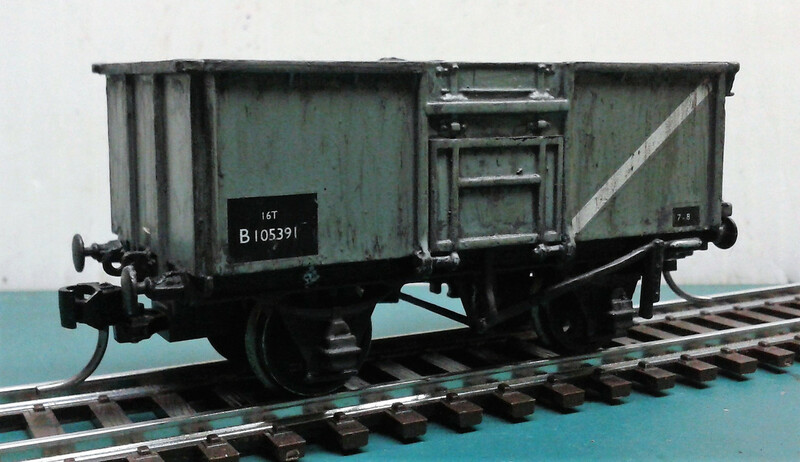 Finally it clicked....the photos shewed my error, the roof edges actually overhang the cab sides! 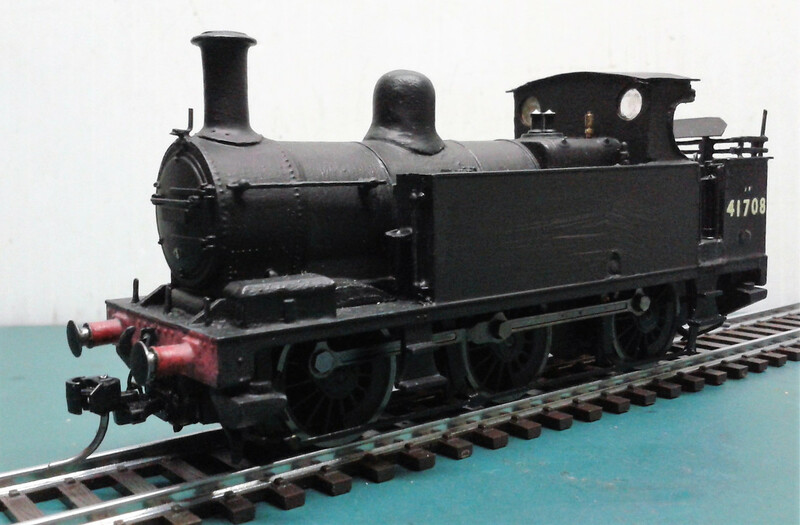 Build the model, and possibly sell it to "upgrade" later? 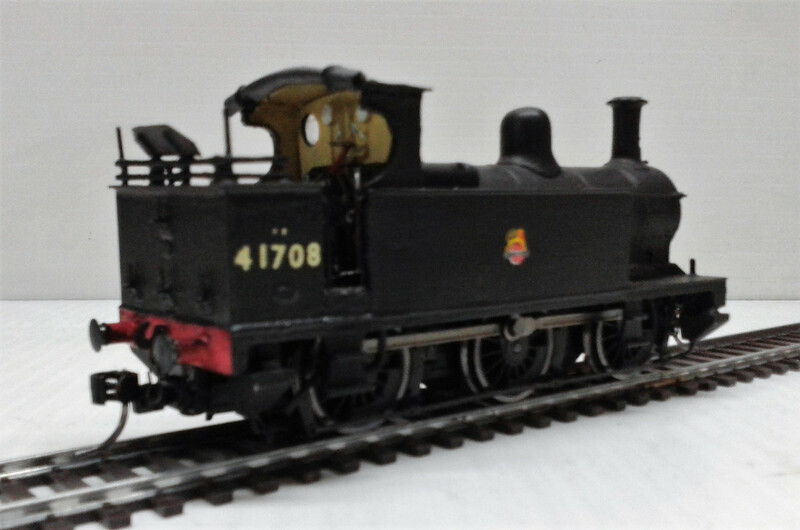 Thanks Sarah - your reply re-inforces the vital Rule Number 1 - always have a decent photo of the loco you are intending to model. And as a generality - I find too many instructions in life seem to be written by somebody who knows what they are doing, but cannot put themself in the eyes or shoes of the customer. 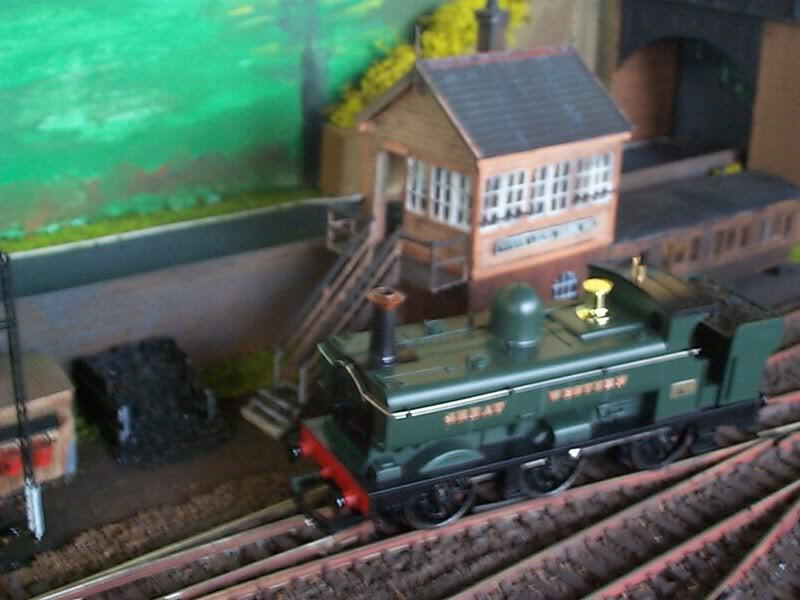 GeraldH wrote: I do like your work on the Hornby Pannier, I got rid of mine a year or so ago, but having seen what you've produced I'm beginning to regret it . 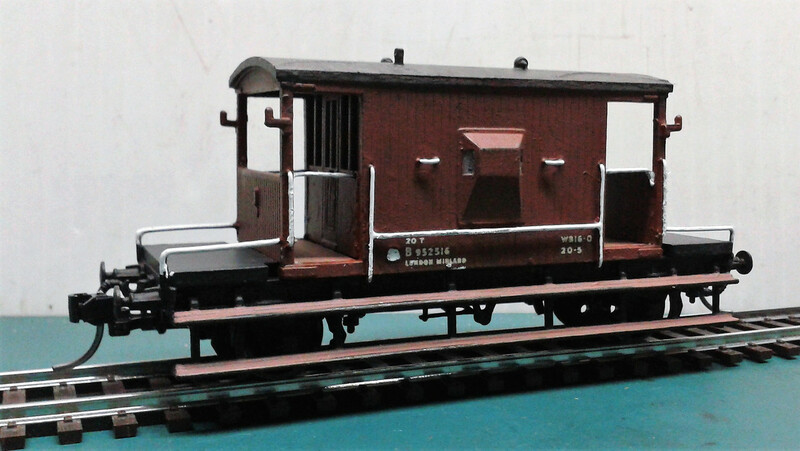 A major upgrade would be to fit a Bachmann DCC Ready Pannier chassis....with th ecorrect wheelbase! Not that I have done so....yet! 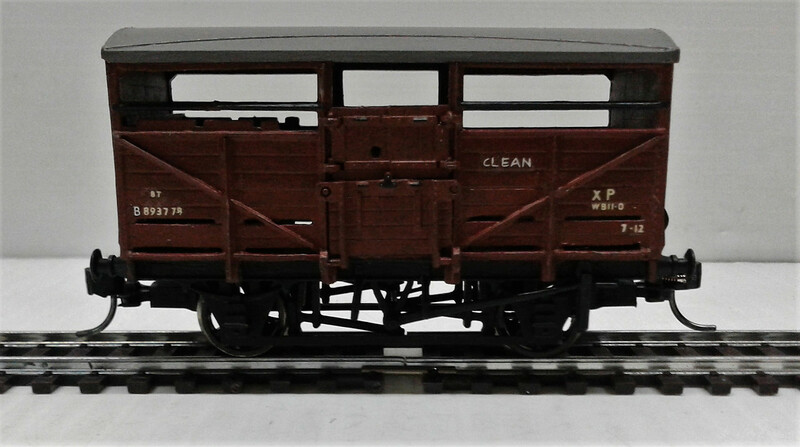 The main give-away are the handrails on the top of he tanks at the fromt....Early Hornby models have solid mouldings, later models have proper handrails here! Last edited by sarah on Sun Apr 15, 2018 7:27 pm, edited 1 time in total. 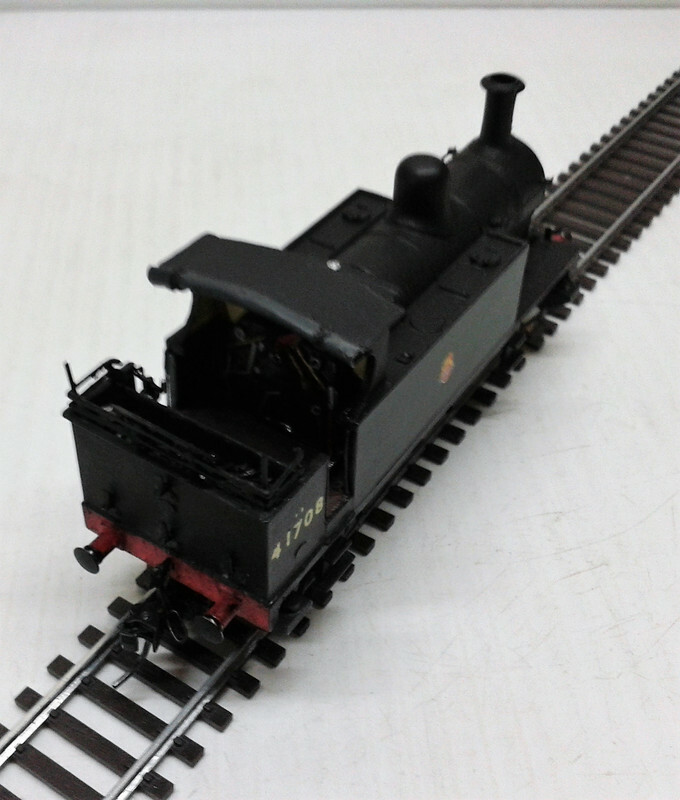 In the end I removed it, and chose to run the loco as a goods only loco. 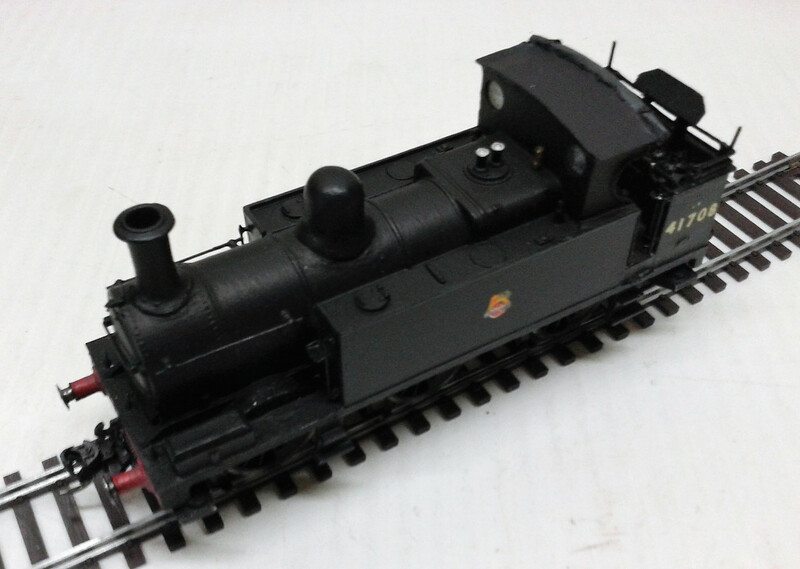 We have pleny of Vaccum fitted locos! 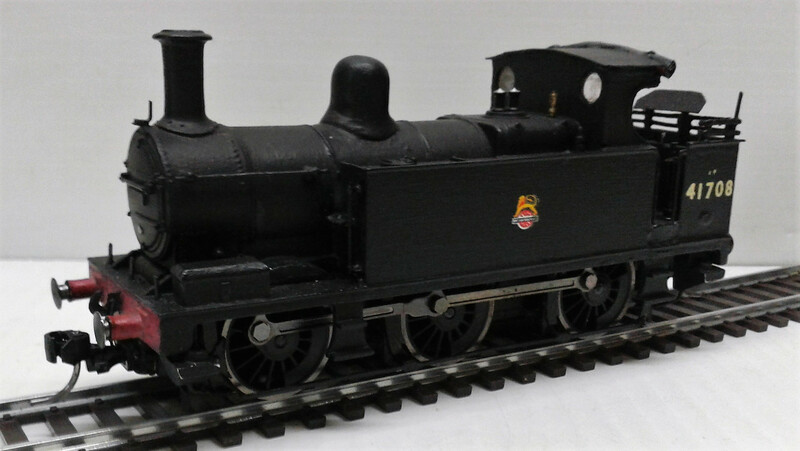 If we were to run in "preserved line mode", to use some of the "funny trains" that do not fit in with 1950s North Wales, the lack of retro fitted Vaccum brakes will not be that noticable! All handrails replaced with wire. New wheels and pin point brass bearings. 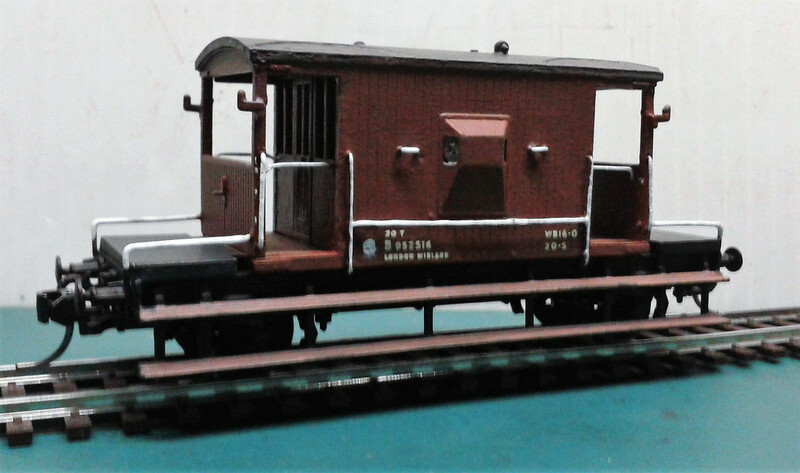 Now awaiting paint hardening, then some gloss varnish forthe transfers....then mattish varnish, and a little dirt....it is meant to be vertually brand new! 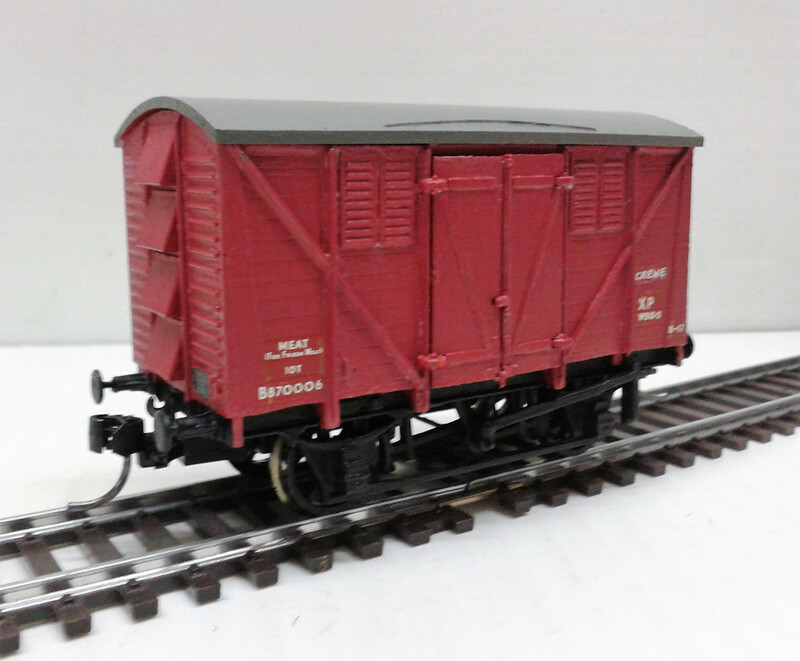 The Airfix BR Standard Brake Van. 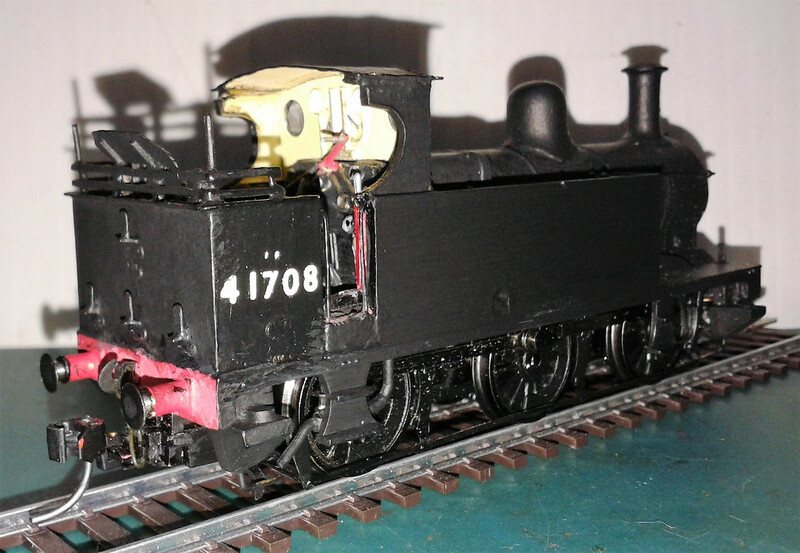 Brass bearings and Hornby Disk wheels fitted. Markits Brass Torpedo vents fitted to the roof. 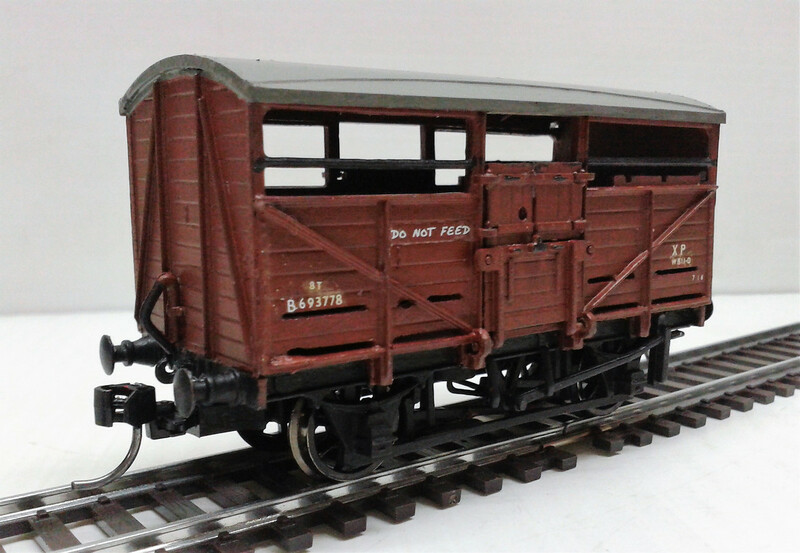 All moulded on handrails replaced with wire. 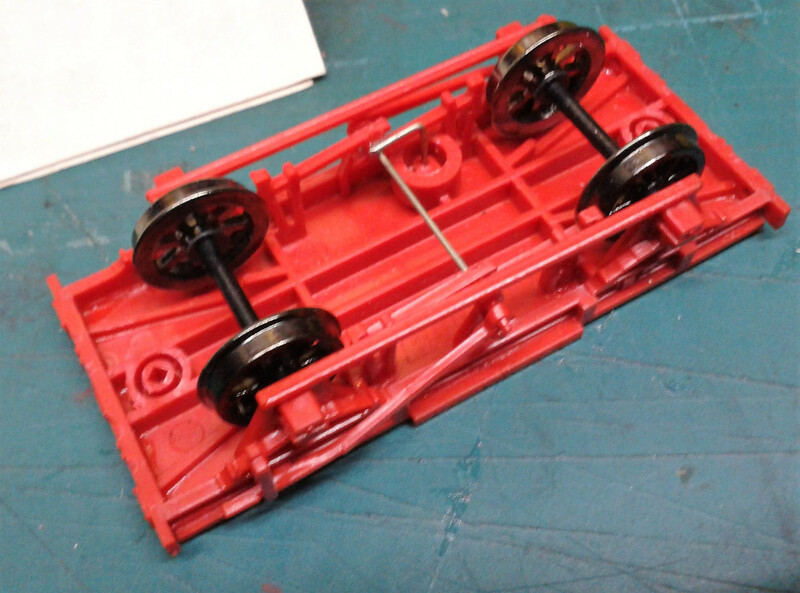 The axle-boxes needed drilling out slightly to fit the bearings. 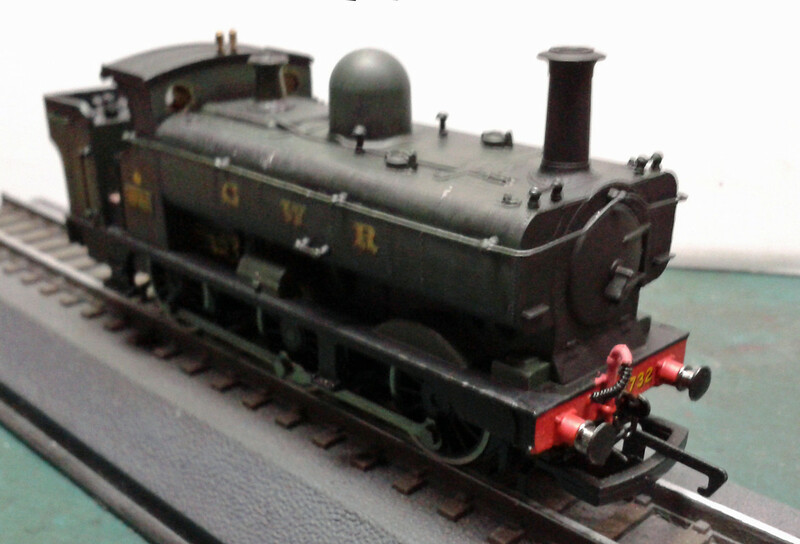 Plain (Not Top Hat type) brass bearings were used to get enough clearence for the Hornby Disk Wheels. Last edited by sarah on Sun Apr 15, 2018 7:28 pm, edited 1 time in total. 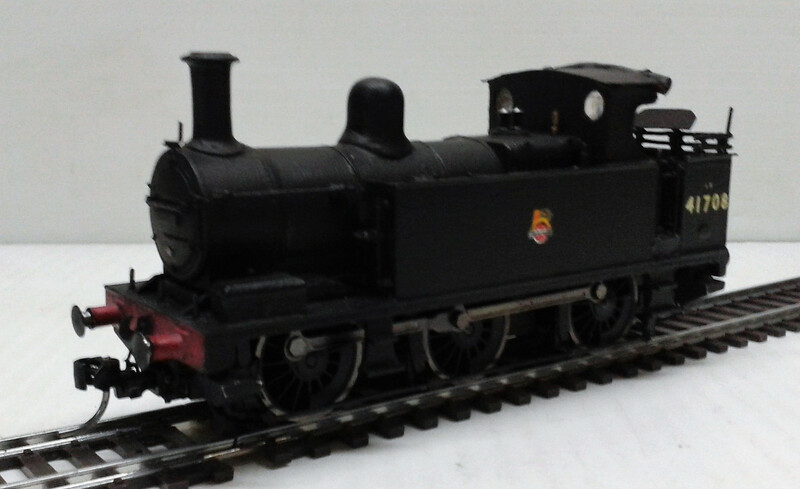 Replacement Hornby (or Bachmann?) Disk Wheels in brass bearings. 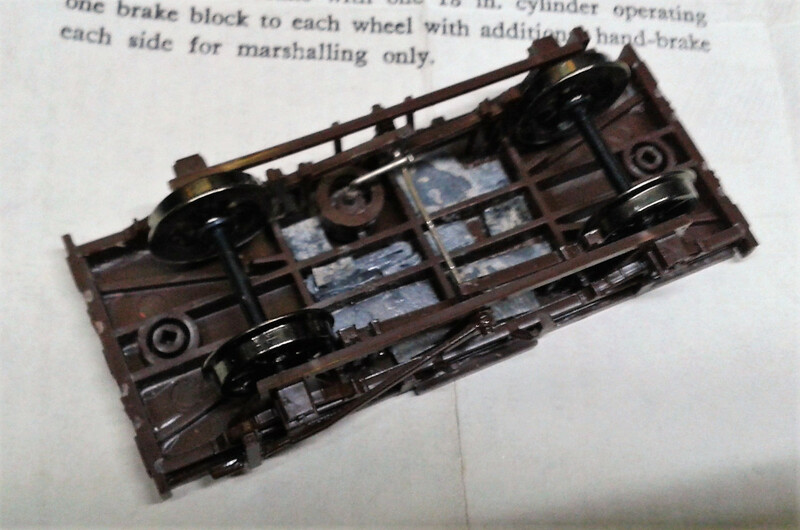 Brake gear modified to one set of brake shoes and a cross link shaft. 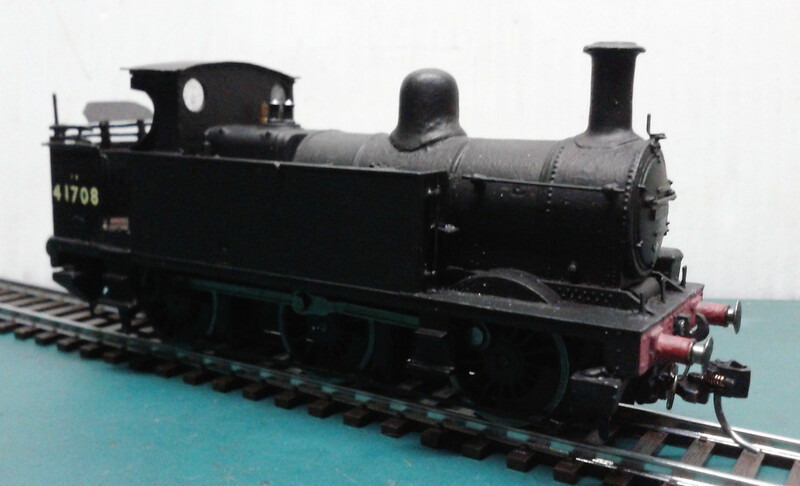 Dapol NEM coupling pockets fitted with Kadee NEM Couplings. 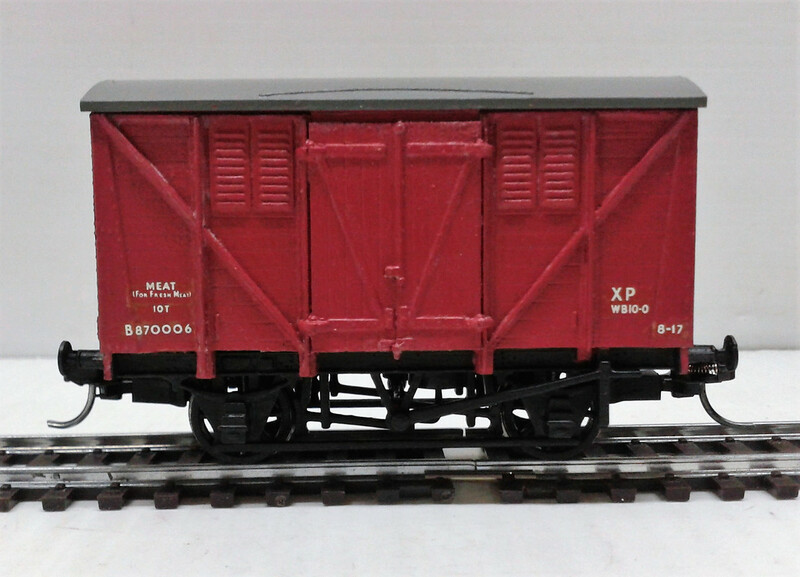 The doors will open, for posing in the coal yard siding! Last edited by sarah on Sun Apr 15, 2018 7:29 pm, edited 1 time in total. 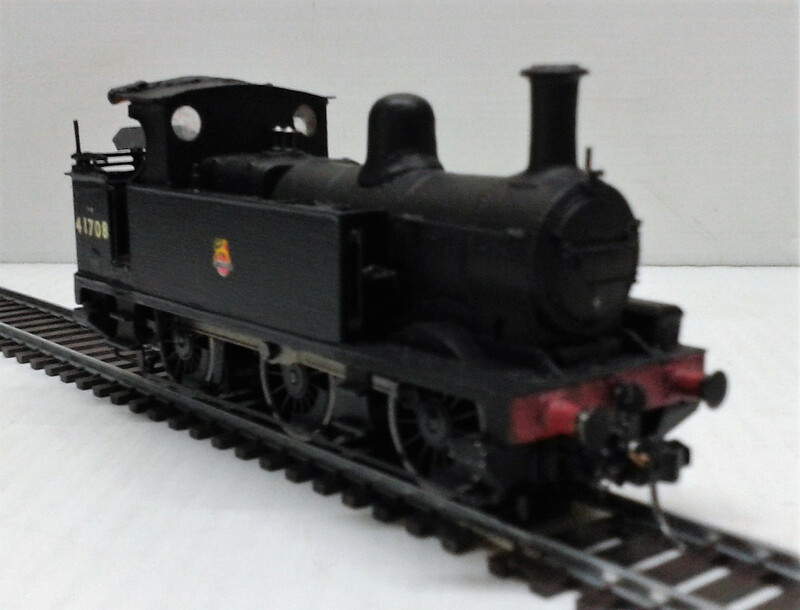 Hornby DCC Fitted (Hornby 4-pin decoder) LMS 3f "Jinty" converted to the Midland Railway 1F 0-6-0T using the Crownline conversion kit, which was designed to fit the earlier "Front Wheel Drive" "Jinty" chassis. 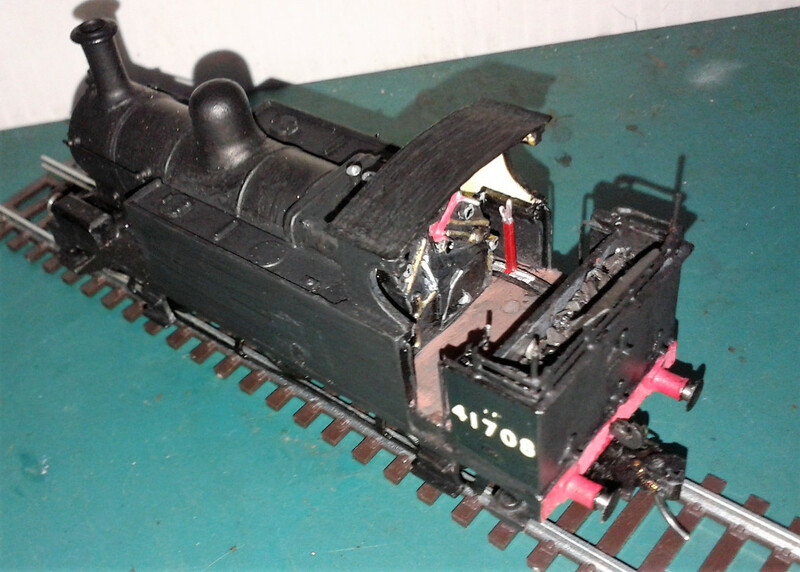 Some slight modification to some kit parts, mainly the cab floor, were needed! Still needs the Sandbox filler in the side tanks filled....and BR Early Emblems! Last edited by sarah on Sun Apr 15, 2018 7:31 pm, edited 1 time in total. 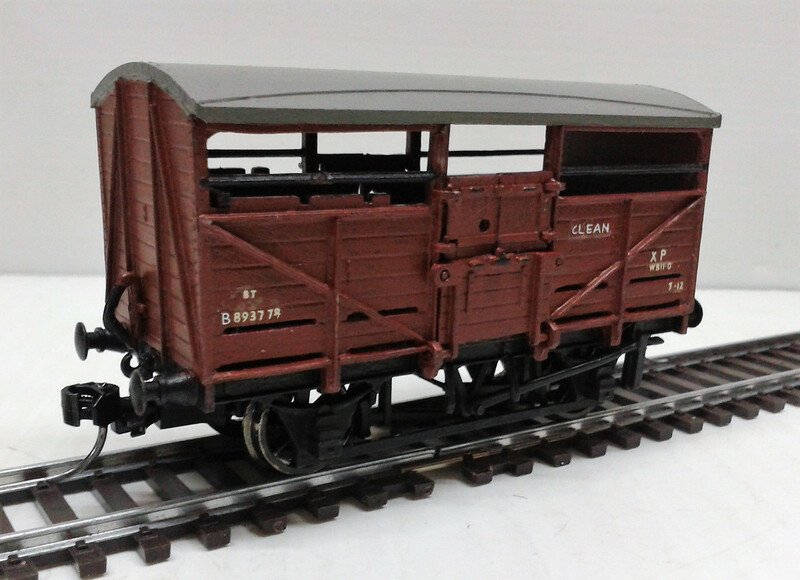 In the period represented by Ffrwd Locks, this Mineral Wagon is still pretty much brand new! 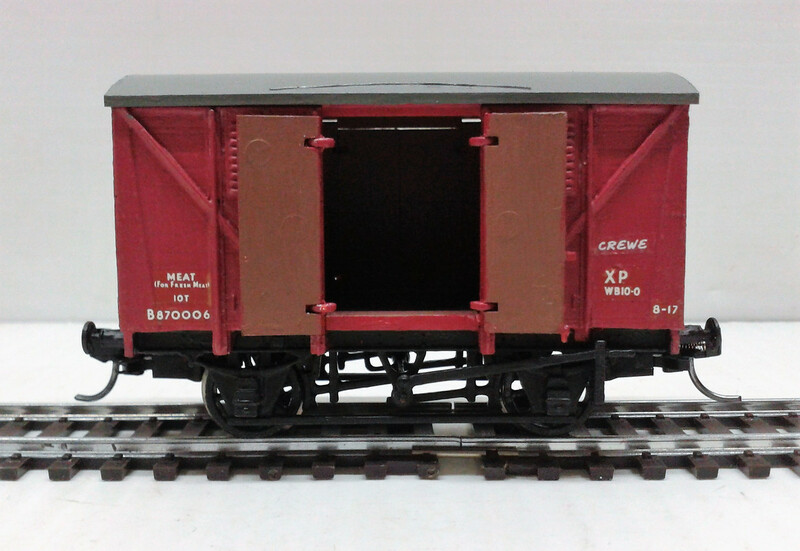 I have fitted the NEM coupling mountings to the Airfix Cattle Wagon and Meat Van Chassis....some paint now required. 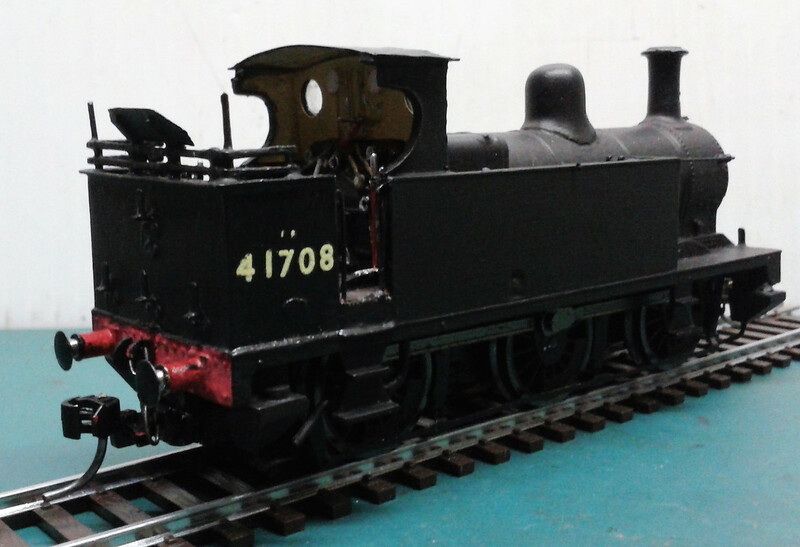 All that is really needed now is a smolebox number plate, fire irons, and a loco crew! BR Early Emblems from HMRS BR Loco & Coach presfix sheet...I had to resist putting the bigger versions on! Last edited by sarah on Sun Apr 15, 2018 7:32 pm, edited 1 time in total. 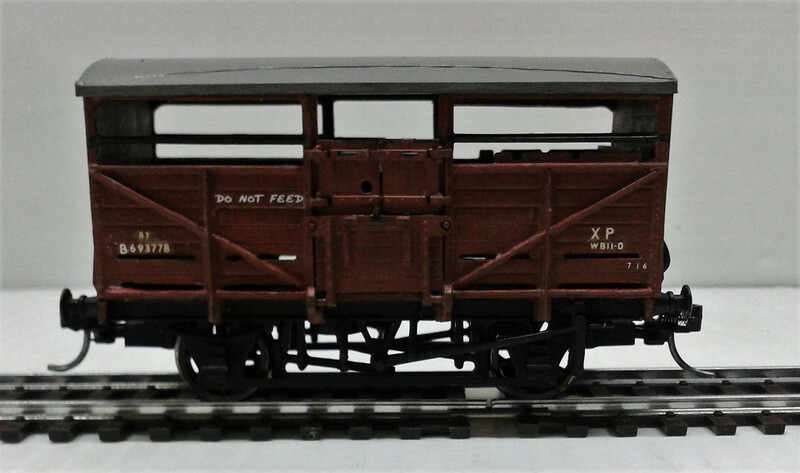 The original Airfix transfers tended to break up on application, especially the wagon numbers, which needed some replacements from a HMRS Presfix sheet. 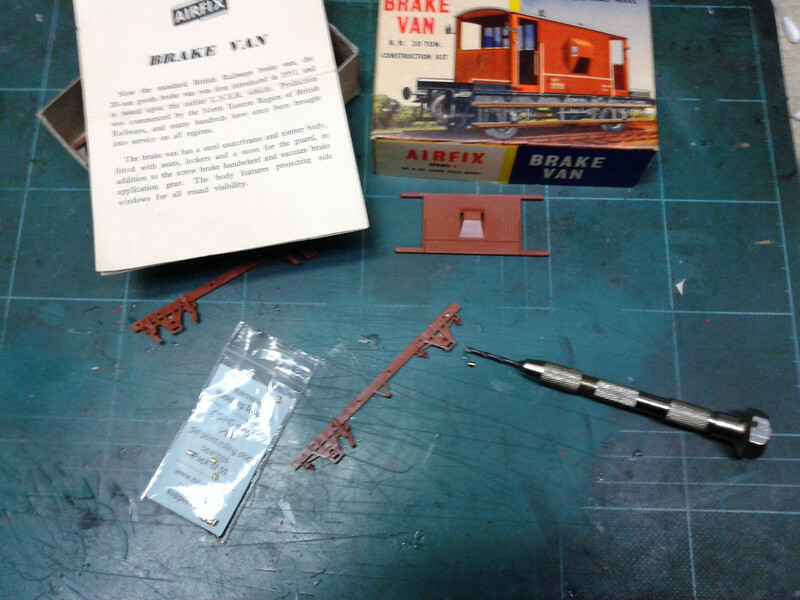 This was one of the more recent Airfix kits (The pictured instructions being from a much earlier kit!) 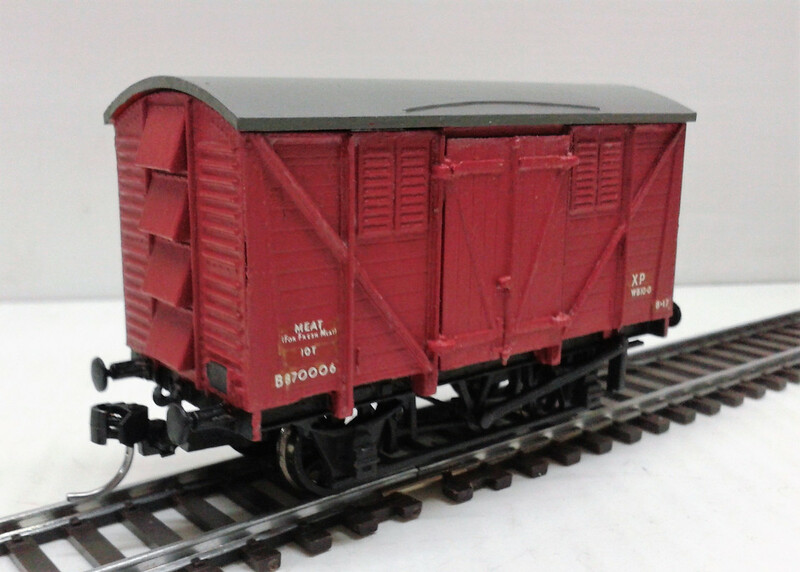 and were worse than th eolder transfers used on the Brake Van and Meat Van! Last edited by sarah on Sun Apr 15, 2018 7:34 pm, edited 2 times in total. 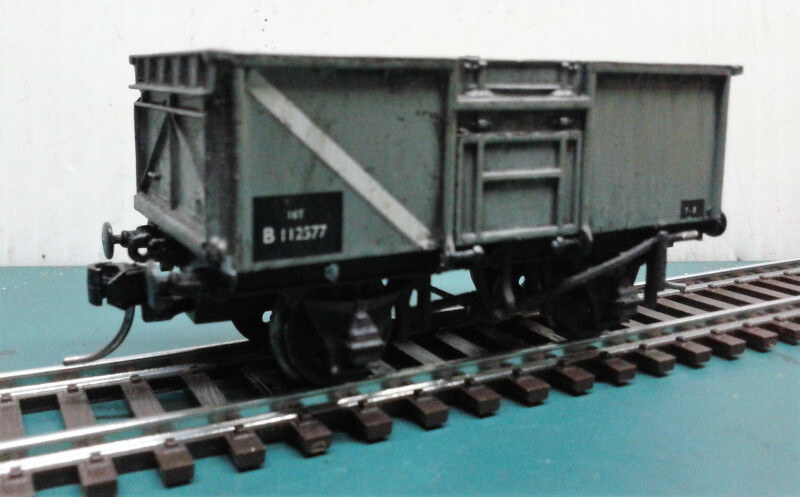 The chassis was going to be weighted with lead sheet underneath...but I got hold of some better weights. These were too big to go under the floor, so were added on top of the floor to either end...20g in 2X 10g weights. The roof is not glued on yet. 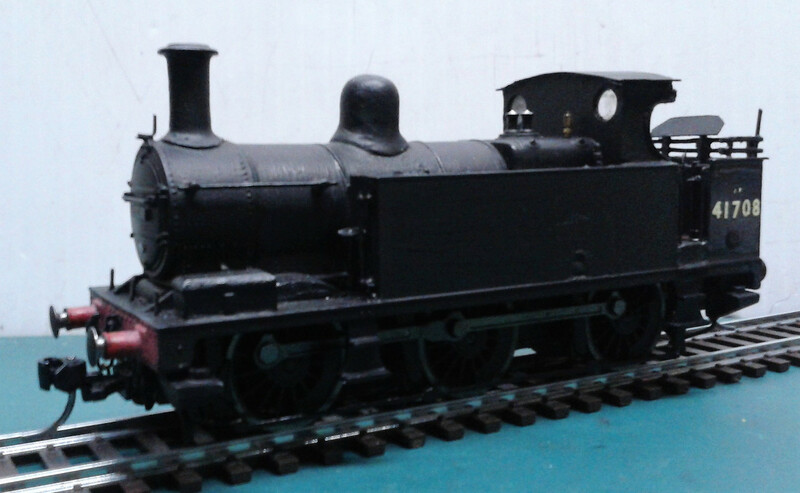 I may add some interior detail....and I do not know what colour the inside should be! Last edited by sarah on Sun Apr 15, 2018 7:36 pm, edited 1 time in total. You've been busy! I like the opening doors. Is a lovely feature to see. Nice work. Mountain wrote: You've been busy! I like the opening doors. Is a lovely feature to see. Nice work. 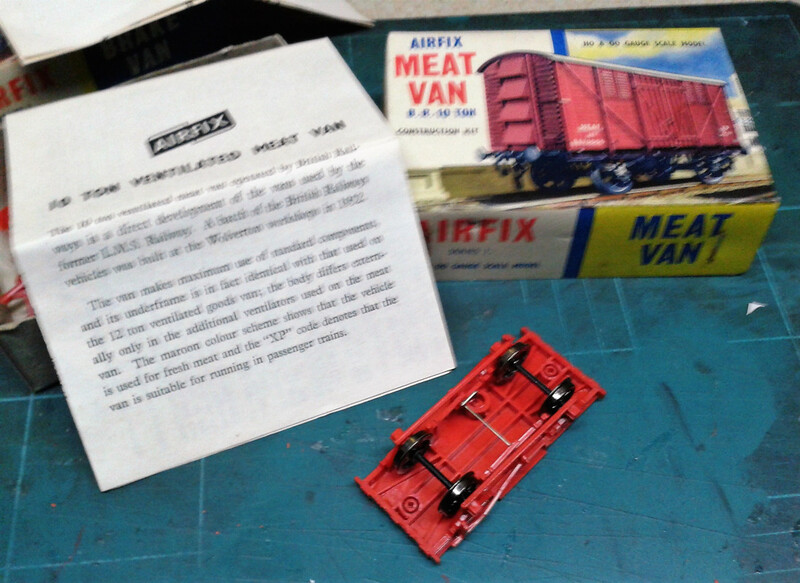 In the case of the meat van, one side door hinge broke, and so that side is now glued shut. 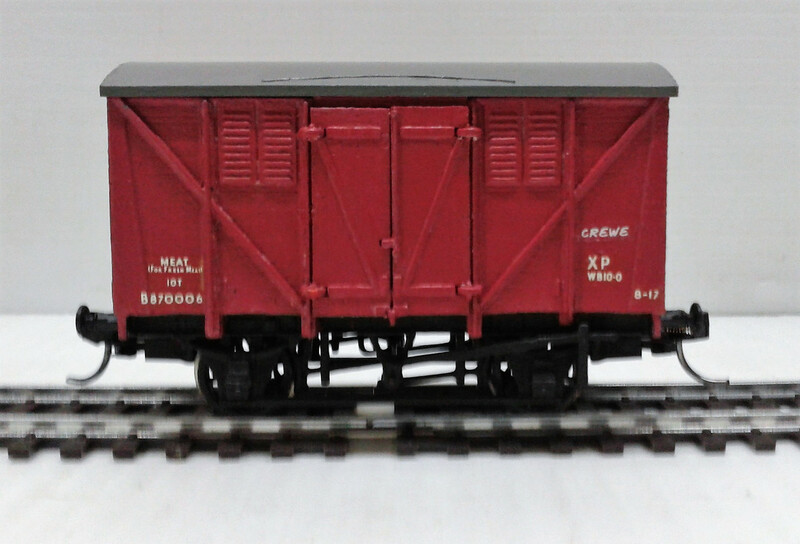 The Cattle wagon top doors use the same hinges as the Meat Van doors. 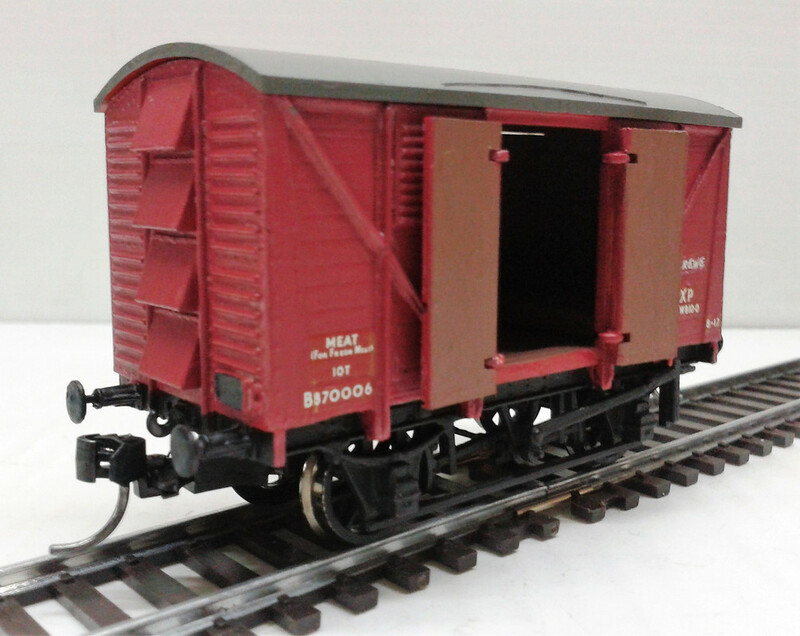 The bottom door uses the same hinges as the 16 Ton Mineral Wagon. 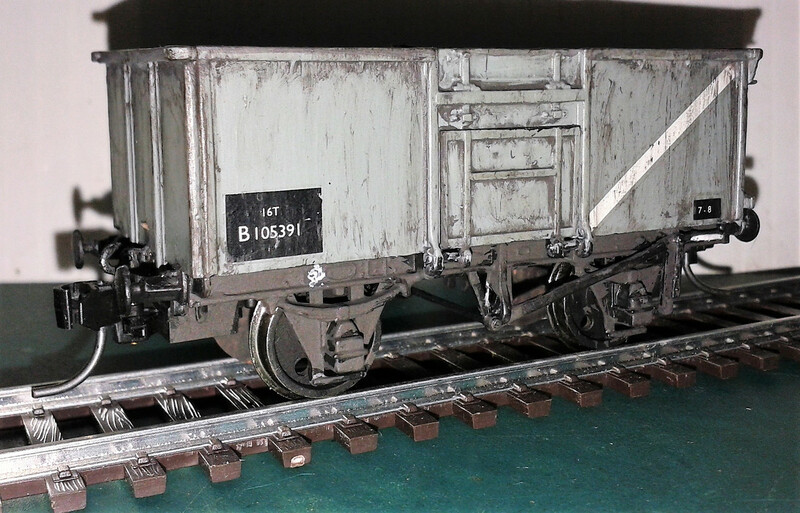 It can be a bit of a problem keeping the hinges free of paint! The chalk transfers are OK, but a lot of the writing seems to be a bit on the large size.